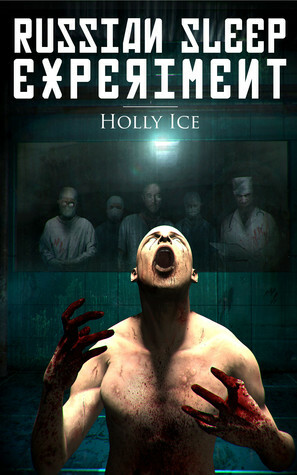 The Russian Sleep Experiment by Holly Ice - Spectacular Fiction! Love creepypasta? Check out The Russian Sleep Experiment by Holly Ice, a well-developed version of the classic creepypasta tale expanded into novella form. If you’re a fan of creepypasta, horror tales that you can find floating around the Internet, you’ve probably read The Russian Sleep Experiment. I went through a phase a couple of years ago when I plowed through the Creepypasta wiki in search of horror reads I could check out in a short period of time. I ended up finding some real gems that way, such as Candle Cove. When I stumbled upon an announcement on Dread Central that this tale was becoming a full-length story, it instantly went on my TBR list. Holly Ice’s novella, published by Almond Press, succeeds in developing this premise and expanding short story into a better tale. The story provides characterization for both the prisoners and the authorities running the experiment, providing more emotional weight for the reader when the experiment does go awfully awry with increasingly horrific consequences. Plus the novella contains a few mood appropriate illustrations sprinkled throughout. For a taste of the artwork in this novella, just take a look at the companion website. It’s been awhile since I read the original story, but from what I can remember this novella tweaks and expands the horror that this experiment unleashed. All in all, The Russian Sleep Experiment is a quick and enjoyable read for fans of horror, dark fiction, and creepypasta. You can pick up a copy of Ice’s novella on Amazon in paperback and ebook format, or on the iBooks or Kobo stores.